In America we love the story of the self-made man. We love to hear about the guy who lifted himself up by his own bootstraps and went from rags to riches on his own power. I believe God hates this story. Read the Bible and see if you find anything like a self-made man. 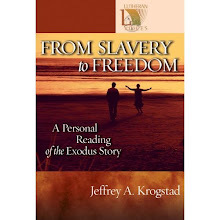 On every page you will read how important it is to acknowledge God's sovereignty. Frequently you will read about how many people have gone before us, laying foundations that provide stable platforms for our lives and achievements. Here and there you will read about how God redefines power. Instead of seeking out the strongest, the fiercest, the most independent, God seems intent on using the lost, least, little, and broken. If you want to follow Jesus, by definition you can't be a self-made person. It's contradictory. To follow Jesus you need to know him as Lord. That takes the guts out of your self-made story. You need to know him as Savior. That eliminates the idea that you got here on your own steam. You need to know him as Redeemer. That eliminates the idea that you did it yourself. I could go on and on. So here's a question: To what extent do you buy into the idealism of the self-made man? Can you bring that to Jesus and confess it to him?